Most people associate make- up with vanity and being superficial. 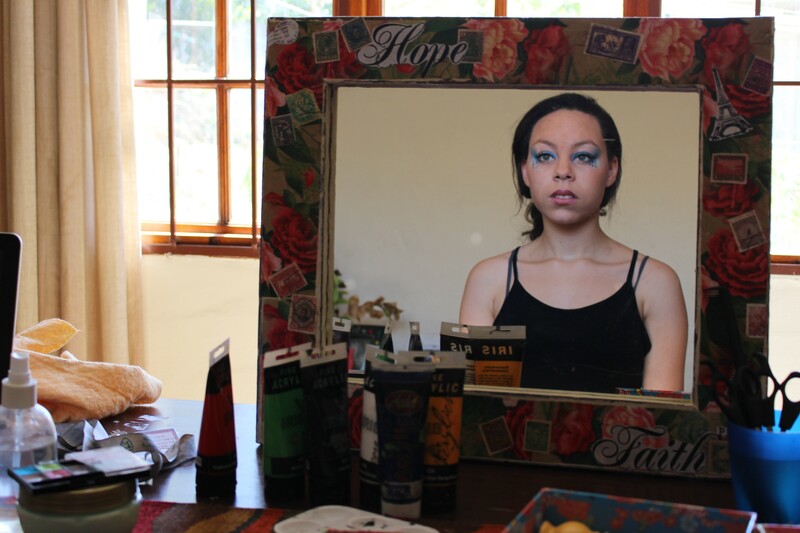 for some, make- up is a form of art. 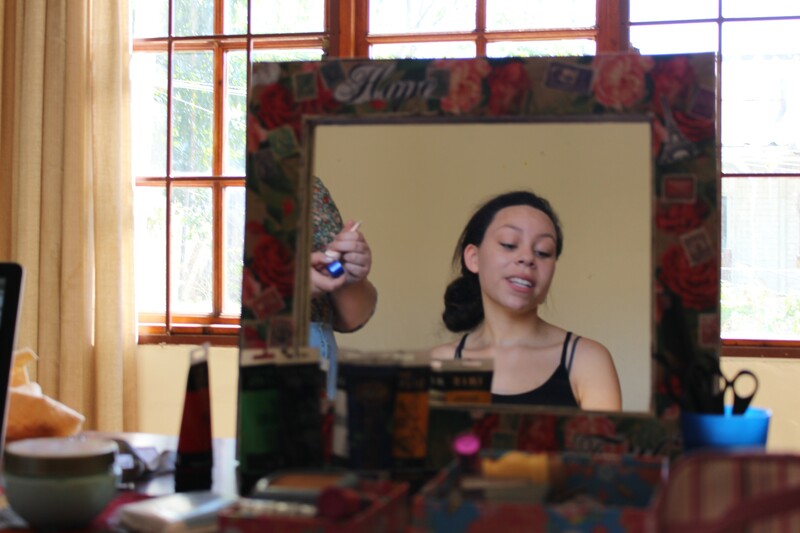 Stace Scallan is an art major at Rhodes University who, along with her many other talents, loves to show case her talent of applying make- up. 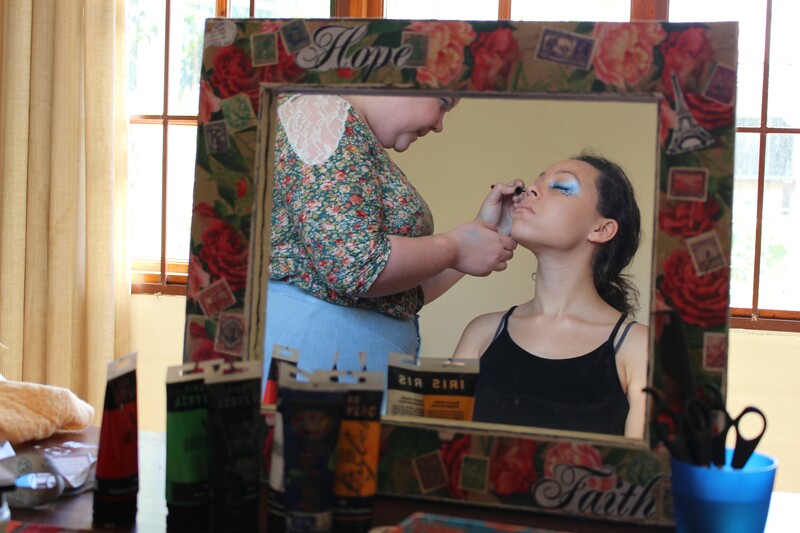 Jade Kebbie and Jarryd Munslow were her canvas today. Jade: “Do my eye- lashes look burnt to you? I was freaking out about [them] the other day”. Make up artist Stace Scallann says she always starts with a little bit of base, she uses BB cream to ensure that it “doesn’t hide the natural beauty underneath, so you can still see her freckles” and it is softer on the skin she says. 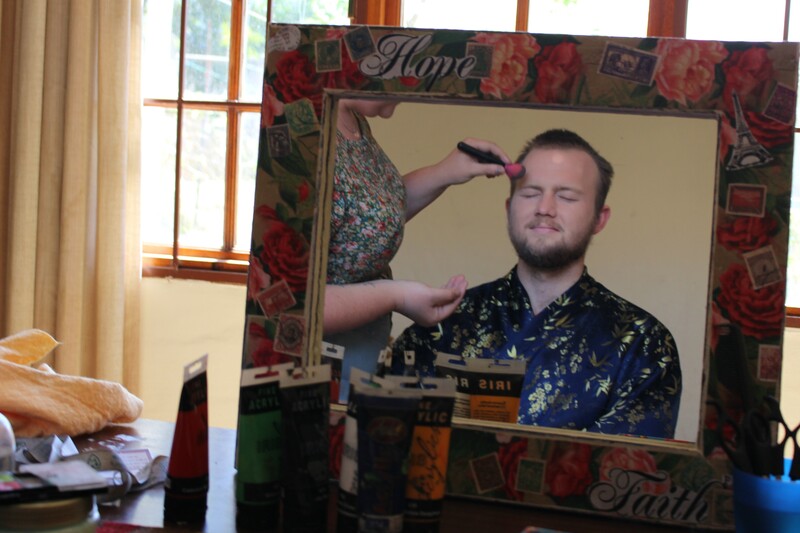 Unfortunately Jarryd did not get to choose his own eyeshadow, but he still looked as beautiful as ever. He enjoyed his new hair too. Stace uses a lighter colour on the eyes as well which she says is more of a base tone. To accentuate the features Stace recommends making the inner parts of the eye lid [the parts next to the nose] darker, and the outer parts lighter. 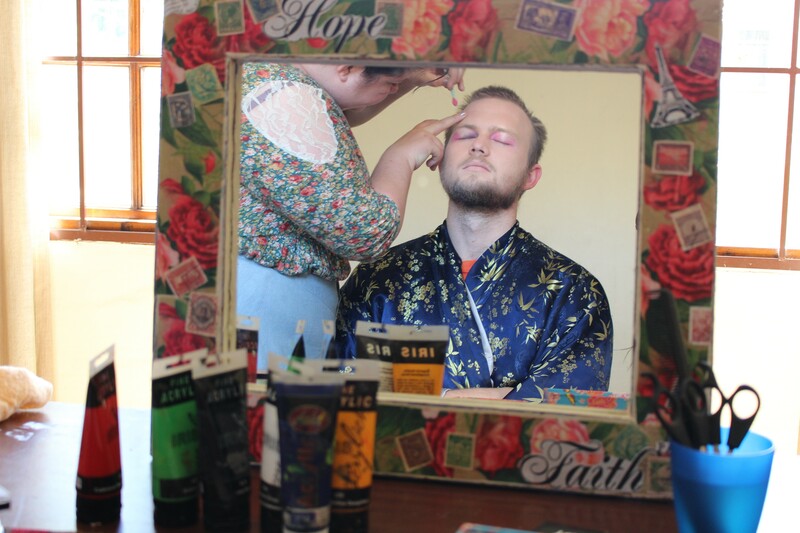 Stace used foundation on Jarryd instead BB cream. 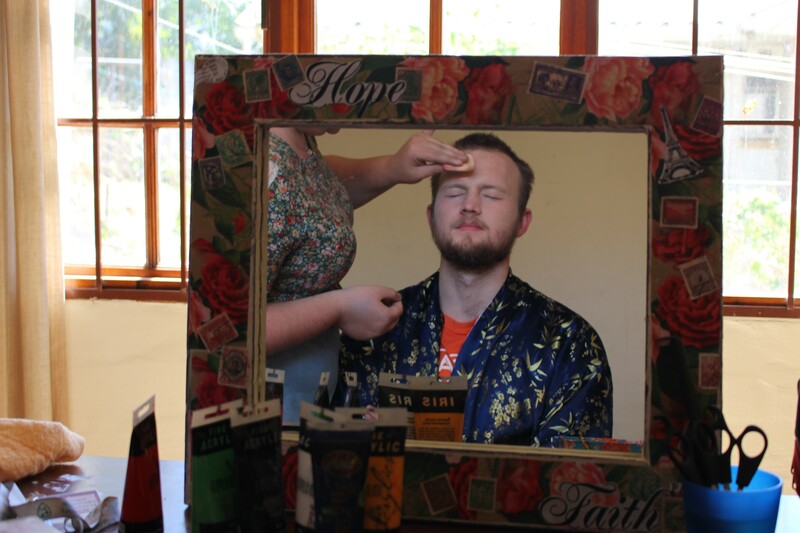 Foundation is a little bit thicker than BB cream, it would probably be a better option to use on Jarryd’s bearded face in order to achieve a more feminine look. Foundation makes the skin stand out more. Jarryd reminds me that he feels fine with his appearance, he just chose to do this for the experience because I asked him to. 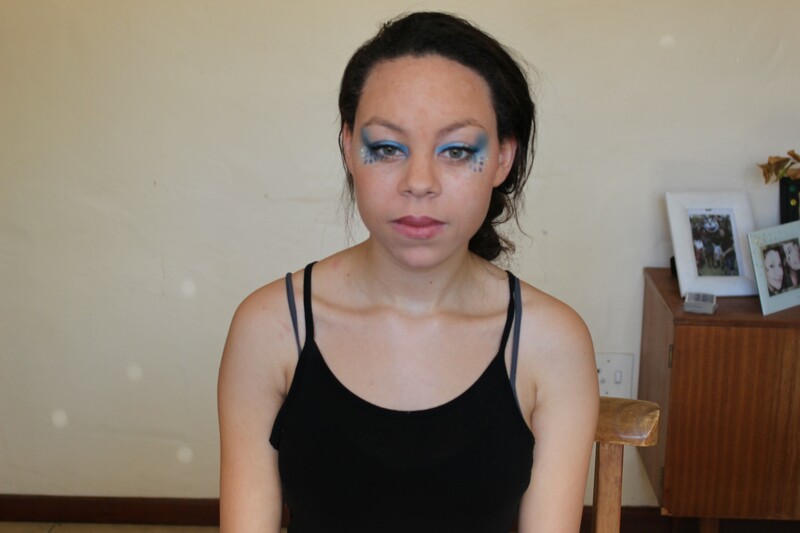 I hunted Jade on down on a Grahamstown Facebook page and she was willing to part- take. 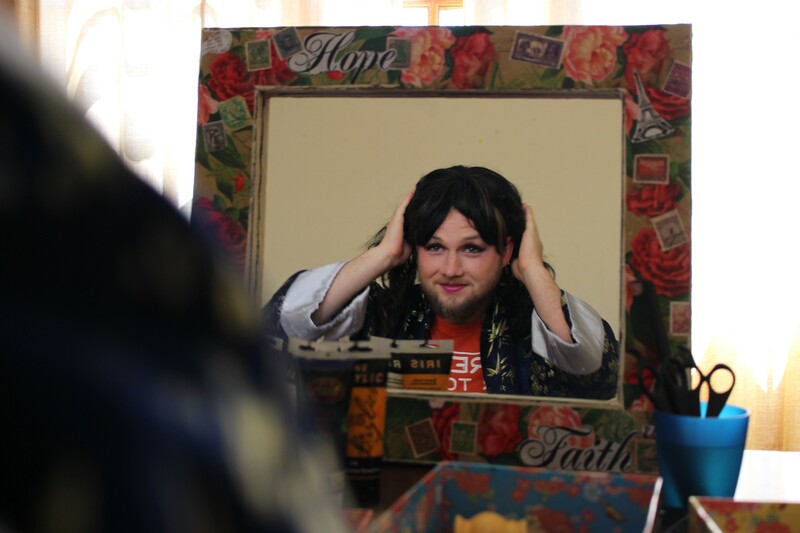 Jarryd personally enjoys costume parties, with no make- up involved, because there are no limits. his best memory was attending a “no clothes” party, he attended it in a cardboard box around the most private parts of his body. My opinion on the end results, I think the best part about Jades’ look are her eyes. I particularly loved Jarryd’s pouty lips. Posted on October 23, 2014 October 31, 2014 by zinhleznokwazi	This entry was posted in Uncategorized. Bookmark the permalink.